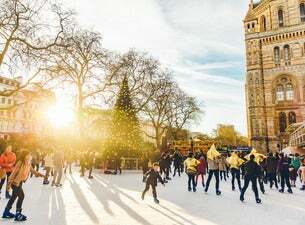 Embrace winter at the Natural History Museum Ice Rink, London’s most spectacular winter attraction. Whether you are a novice or an expert, it’s the perfect way to welcome in the winter season with family, friends or that special date. In addition to the main rink, there is a children’s rink for younger skaters and the stylish Café Bar is open to all visitors (including non-skaters). There is also a beautiful fairground carousel that is open throughout the day.